McDonald’s is embroiled in a court case facing labor law violation charges. McDonald’s workers have filed a series of complaints alleging violation of their labor rights on the part of the fast food giant’s franchisees. The long-running legal battle between McDonald’s and alleged victims of labor law violations is nearing its end, and the outcome of the lawsuit could bring tremendous changes to the fast food company’s policies nationwide. Fact: McDonald’s is the world’s second largest private employer after Walmart with over 1.9 million employees worldwide. Over 1.5 of these workers work for franchises. Complaints citing labor rights violations are stemming from 2014, when the National Labor Relations Board issued a series of complaints against the fast food giant and some of its franchisees. The employment law violations by franchisees, alleged by McDonald’s employees at restaurants in Los Angeles and across the nation, included reduction of hours, wrongful termination, threats, retaliation against workers, surveillance, and interrogations. Can McDonald’s be sued for employment law violations? The legal action calls the franchisees joint employers. Our Los Angeles employment law attorney Jeffrey Rager explains that the court case against McDonald’s has been dragged in court for nearly four years due to claims that the company is liable for alleged employment law violations by its franchisees. The two sides cannot agree on whether or not McDonald’s can be considered an employer of those workers across the nation whose labor rights have allegedly been violated by franchisees. Some legal experts believe that the fast food giant is a joint employer and should be held liable for the alleged labor law violations, while others call the notion bizarre and warn that a ruling that McDonald’s is a joint employer could ruin the entire franchise model. This, in turn, could lead to a plethora of policy changes in various franchises in California and all across the nation, our best employment law attorneys in Los Angeles warn. 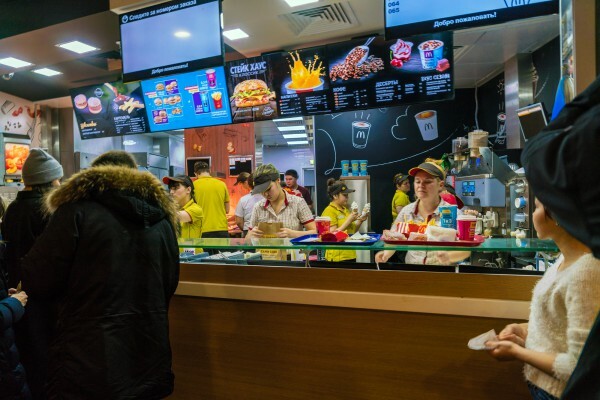 After seeing the inability of McDonald’s to avoid responsibility for the alleged labor law violations on the part of its franchisees, franchises across the country will want to adjust their policies in a way that would protect them from similar legal battles. Reports indicate that McDonald’s could pursue an out-of-court settlement with its franchisees who are being accused of labor law violations. Many experts argue that the fast food giant could be pursuing a settlement due to a separate recent court ruling that found McDonald’s liable for violations by its franchisees. McDonald’s has long avoided responsibility in legal actions against its franchisees, arguing that its franchisees are independent owner-operators who have their own policies in place and comply with corporate standards of food preparation. How to sue a giant company like McDonald’s? If your employee rights have been violated while working for McDonald’s or any other fast food giant, pursuing legal action may seem scary. Moreover, suing a giant company like McDonald’s may make little sense. In fact, many workers whose labor rights have been violated at famous franchises refrain from filing an employment law violation claim arguing that they won’t be able to prove the violations, penetrate the durable law protection shield of these companies and obtain compensation. While it’s an undeniable fact that McDonald’s – and all other fast food giants, for that matter – employ some of the best and top-notch lawyers in the country who protect them from liability and help them avoid responsibility for illegal conduct, you can still win a lawsuit against McDonald’s or any other franchise by hiring an employment law attorney. If you have a Los Angeles employment law attorney by your side, your chances of success increase tenfold. After all, our attorneys at Rager Offices Law have taken on both small and big companies in court cases for more than three decades. Here at Rager Offices Law, we know how to help you obtain compensation even if your labor rights have been violated by McDonald’s. Consult our employment law attorneys in Los Angeles to find out your best course of action today. Call our offices at 310-527-6994 to get a free consultation.